Ignition Casino has every casino game (over 300 games) you could ever want to play. We love all their different video poker games. 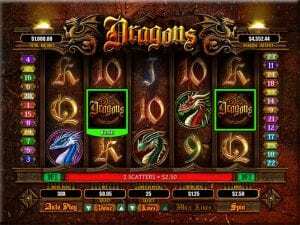 The Dragons slot game at Ignition. 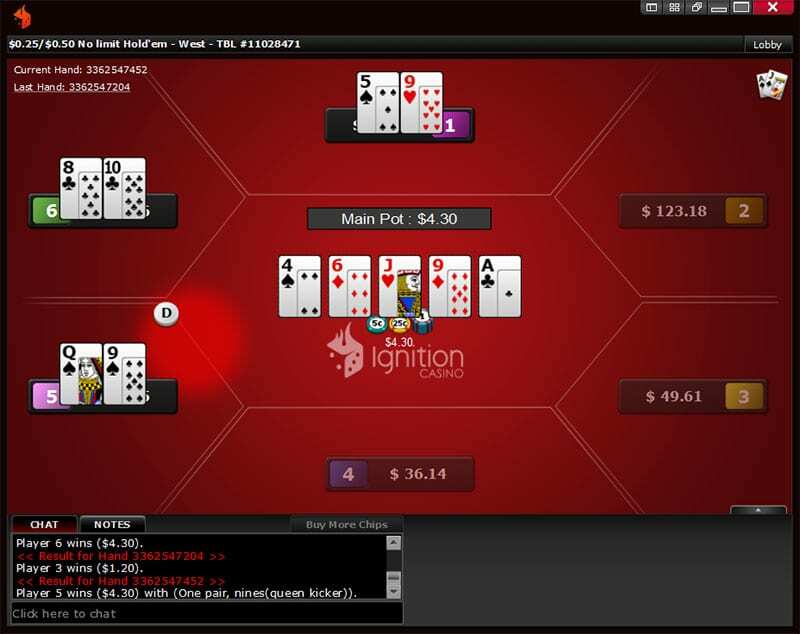 Ignition Casino is an online casino and poker room launched in 2016 catering to U.S. players. As of August 2016, Ignition is gaining traction after their acquisition of Bovada’s poker rooms. 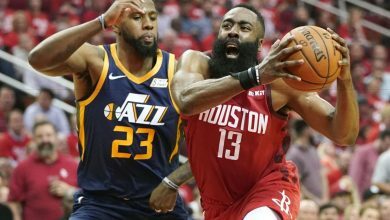 Those familiar with Bovada and their global parent company, Bodog, will immediately recognize similar promotions, features, games and the overall feel on the Ignition Casino website. Ignition is owned by Lynton Limited, a company in Canada, which also operates Slots.lv and Cafe Casino. It is licensed in the Kahnawake territory in Canada and currently only accepts players from the United States. The Ignition Casino Rapid Number Generator (RNG) has been tested by the independent testing company iTech Labs. Ignition Casino has already established a reputation for quick and reliable payouts, a user-friendly web interface, and great deposits and promotions. Twoplustwo forums, the largest online community of poker players, has a dedicated thread for Ignition payouts and confirmed deposits. Most noteworthy is that Ignition Casino has only been around since Aug 2016, but the company also runs slots.lv which has a good record. The Kahnawake Gaming Commission has over fifteen years of experience regulating interactive gaming websites. They provide transparent player statistics and contract unbiased third-party auditors to insure the integrity of licensed gaming sites. If you’re like me, you came to Ignition Casino because Bovada is closed its poker room. Bovada has transitioned their poker players to Ignition. Yes, Bovada sold their poker room to Ignition Casino. I think it was due to Bovada wanting tp focus on sports betting and separate themselves from poker. The good news for Bovada poker players is that the transfer from Bovada to Ignition was seamless and it took less than a few minutes for players to receive a bonus/incentive for transferring (note: transfer before September 30th, 2016 to receive the $10 bonus). 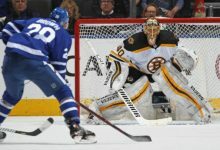 Ignition Casino shares a player base with Bodog, and there is always plenty of poker games at all stakes. You can play Texas Hold ‘Em, Omaha Hi, and Omaha Hi/Low poker for real or play money. The current poker games available: No Limit, Pot Limit, and Fixed Limit variants with two, six, or nine player maximums. Ignition also brought over Zone Poker rooms from Bovada. These are very fast paced six player hands with anonymous players. Zone Poker is known for having “dead money”. This is money available on the table from those who choose to fold impatiently or automatically refuse to defend blinds. With the faster hands, it’s possible to play through twice or three times as many hands per hour. Poker players earn Poker Points every time they contribute to a raked pot. These Poker Points can be used to redeem additional bonuses. Bovada previously used Poker Points to allow access into freeroll tournaments, and we can expect this from Ignition Casino in the future. The poker rooms at Ignition are identical to Bovada and provide the same great experience that we’ve come to expect for online poker. Six blackjack games, featuring single and double deck blackjack and more. Eleven table games, including roulette, craps, and baccarat. Seventeen types of video poker games. And even specialty games like bingo and keno. Of course you can always download their software for desktop/laptop use. Ignition Casino offers bonuses for new and regular players. 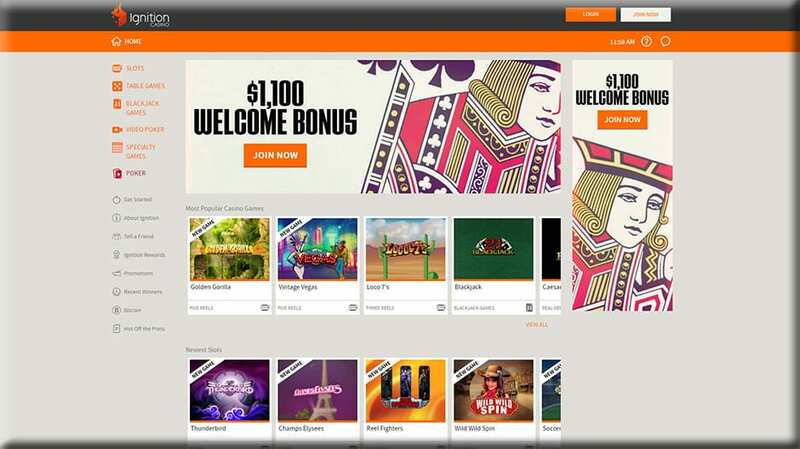 For a limited time, Ignition is offering a free $10, no-deposit bonus for new accounts. Ignition also offers the usual Tell-A-Friend bonus and weekly bonuses on Monday nights. Players that gamble for real money on the site can join the Ignition Rewards Program. This is like a “players club” which entitles you to receive benefits for your play. 100% up to $1,000 on first deposit. Some games contribute more to requirements than others! 100% up to $1000 based on the total deposits made within 24 hours of first deposit. Unlock bonuses by earning poker points. Earn rewards for slots and casino games. Deposit bonuses for casino or bitcoin deposits. Exclusive monthly bonuses and promotions. Cashback and free chip bonuses. Increased withdrawal limits and expedited withdrawal. Some games contribute more to requirements than others. There are no fees for deposits at Ignition Casino, and they accept American Express, Mastercard, Visa, and Bitcoin. The deposit process is simple, although you may have to confirm the transaction with your bank the first time. It takes less than a minute to deposit and start playing, and there is a field for additional promotion codes or bonuses. Most importantly, it’s worth noting that there are sometimes special bonuses for Bitcoin deposits. Most importantly, the payouts at Ignition are currently being made on time which has been confirmed independently by multiple sources. Withdrawal options include Bitcoin, Check, and Wire Transfer. Fees are calculated at the time of transaction and as long as they are within the frequency limits there will not be any fees for withdrawal. Ignition provides an extra layer of security by verifying your identity before withdrawal, and it’s usually as simple as sending a picture of a photo ID or piece of mail. Simply put, Ignition Casino is pretty simple yet impressive. Unfortunately there are not many safe online casinos that accept US players. While they are a new casino, the company behind them seems reputable and they represent the best in the industry. I’m a video poker player and I didn’t love the graphics of the VP games. It looked a little 2005 to me, but video poker is video poker and the games were fine. One other issue I encountered was connecting to their servers. Their software seemed really slow and I was having connectivity issues. This is 2016 and slow sites/servers should not be an issue. Why irritate your customers that want to gamble? This should be somewhat easy for them to fix/improve and it needs to be done ASAP. Account setup is simple and payouts are currently 100% secure and safe. 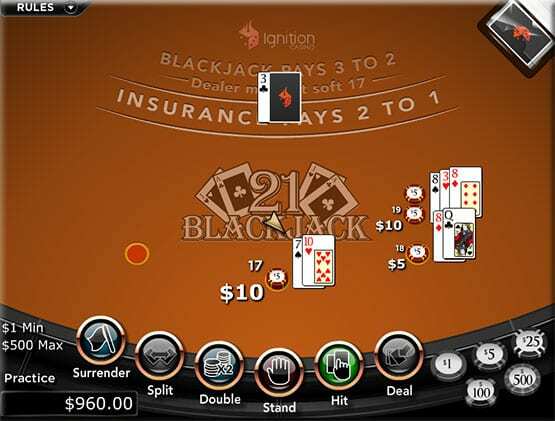 With over 200 different casino games and the recently acquired Bovada poker room, Ignition Casino is currently safe and is current with their payouts.